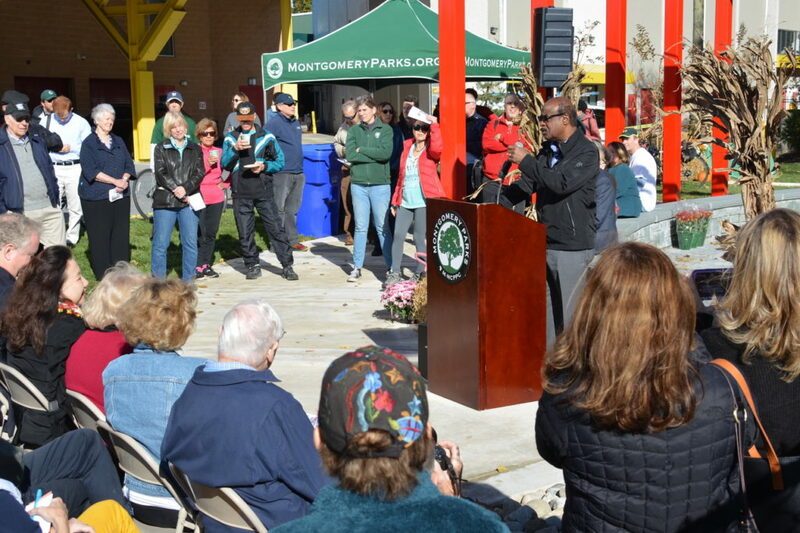 Montgomery Parks opened the Neal Potter Plaza as a new rest area along the 11-mile Capital Crescent Trail in Bethesda on Saturday, Nov. 3. Indeed, the plaza is a dedication to the late Neal Potter, who died in 2008. Potter was elected County Executive in 1990 and served as a six-term Montgomery County councilmember. During his 28 years in office, Potter wrote state-legislation concerning taxation, farmland preservation, and farmland assessment. Additionally, he organized the Citizens Committee for Fair Taxation and helped form the Home Purchase Cost Investigation Committee. 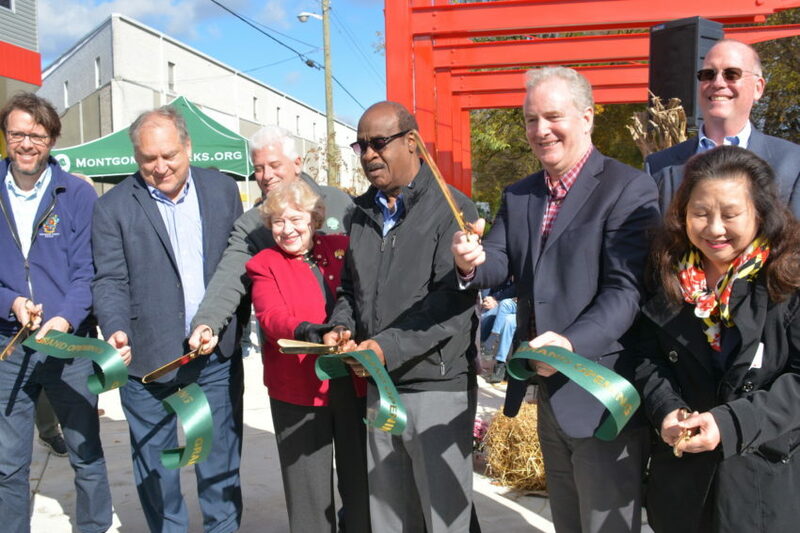 Speakers at the event included County Executive Ike Leggett, Senator Chris Van Hollen, Representative Jamie Raskin, and more. Many county officials were in attendance. The new plaza, located north of where the Capital Crescent Trail crosses River Road, currently includes a kiosk and places to sit. Montgomery Parks eventually plans to install a bike rack and a bike repair station. 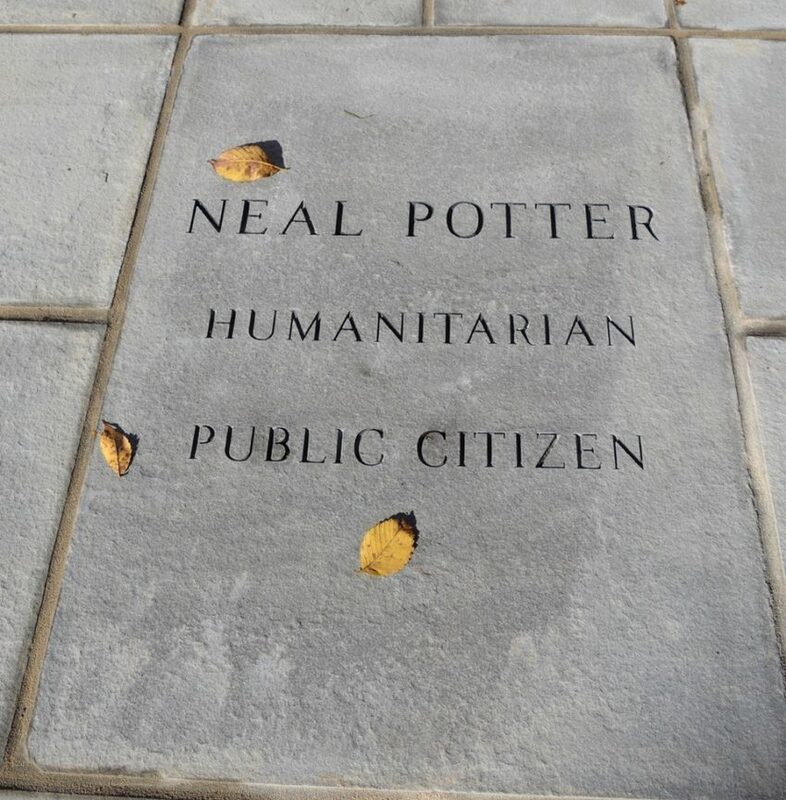 “Neal Potter was a model public servant who always exhibited the highest personal integrity. 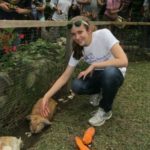 He was a mentor and friend,” said Leggett. Live from the dedication of Neal Potter Plaza on the Capital Crescent Trail!Special thanks to Montgomery Parks, Montgomery County Government, Coalition for the Capital Crescent Trail, and Montgomery Parks Foundation.